The invention provides a breath testing device which includes a visual indicating agent which changes color in the presence of an odor associated with bad breath, such as sulfur and ammonia odors. 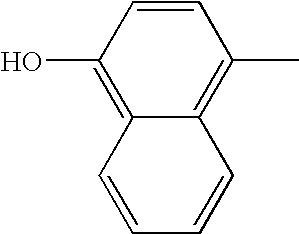 An example of the visual indicating agent is 4,4′-bis(dimethylamino)-benzhydrol (Michler's hydrol or BDMB) and related dyes having a similar chemical structure. The indicating agent is applied to a substrate which is then inserted into a tube or straw, or which covers one end of a straw. When a user with bad breath blows into the tube or straw, the indicating agent will change color. The breath testing devices provide a quick and affordable means for a user to test their breath, and they may be packaged in discreet, pocket-sized dispensers which can be carried in a pocket or purse. In the literature, bad breath is usually referred to as halitosis or oral odor. The term halitosis comes from the Latin Halitus, meaning breath and the Greek -osis, meaning abnormal condition. On one hand most people are not aware of their own breath (whether sweet or bad), while on the other hand most people usually feel too uncomfortable to inform a person that they have bad breath. The breath freshening and oral hygiene areas are large markets which are continuing to grow. For example, market research has shown that consumers in the USA spent US$1.8 billion on toothpaste in 2000, around US$715 million on oral care gums, almost US$740 million on mouthwash and other dental rinses, and almost US$950 million on toothbrushes and dental floss. Although many of those products are primarily for the maintenance of oral health, consumers also buy them to ensure that their breath is pleasant. The US$625 million spent on breath fresheners other than gums and mouthwash, for example breath mints, is directly for this purpose. The mouth and nasal passages are home to hundreds of bacterial species with various nutritional preferences. In otherwise healthy people, the very back of the tongue, rather than the teeth and gums, is the main source of bad breath. This region is poorly cleansed by saliva and contains numerous tiny invaginations in which bacteria can hide. These bacteria putrefy postnasal drip and other oral debris that can collect there. These tiny organisms thrive on proteins, and the chemical compounds that result from the digestion of these proteins include some fetid compounds. At any given time, oral bacteria may be producing hydrogen sulfide (rotten egg smell), methyl mercaptan and skatole (also present in feces); indole; cadaverine (associated with rotting corpses); putrescine (found in decaying meat); and isovaleric acid (the smell of sweaty feet). Additional oral sources of bad breath include poor oral hygiene (especially if proteinaceous particles are left between teeth), gum inflammation, faulty dental work, unclean dentures and abscesses. Because a steady flow of saliva washes away bacteria and its resultant odorous chemical products, anything that promotes dryness (for example, breathing through one's mouth, fasting, prolonged talking, stress and many medications) can exacerbate the situation. Some bad breath seems to be associated with actual periodontal disease and is therefore a useful clue to physicians and dentists. The presence of several key bacteria such as Treponema Denticola, Porphyromonas Gingivalis and Bacterioides Forsythesis can be founding plaque or the tongue. The chemical composition and concentrations of the odorous compounds associated with bad breath have been studied and reported in the literature (Krotoszynski et al, 1977; Tonzetich, 1971). 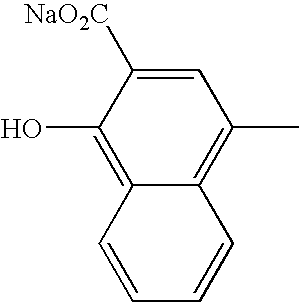 The most common odorous compound in levels above the human detection threshold is hydrogen sulfide (>250 ppb), followed by other sulfur containing compounds such as methyl mercaptan and dimethylsulfide. The human nose can detect hydrogen sulfide levels as low as 0.02 ppm (v/v), and levels of 0.025 ppm and greater are deemed to be characteristic of bad breath in a person. While there are numerous products and technologies that cure or treat bad breath, there are surprisingly few devices available on the market to help identify and alert a user to bad breath. One clinical instrument which is currently used to measure ppm levels in patients' breath is the Halimeter™ breath tester (available from Interscan Corporation, Chatsworth, Calif.), which costs US$1200 and is not portable. Another device is the BreathAlert™ breath tester (available from Tanita Corporation, Arlington Heights, Ill.). This is a small hand-held unit which costs about US$25. It uses a heated wire to detect sulfide compounds in a person's breath and gives a read-out in four levels. The Halimeter™ breath tester has high sensitivity for hydrogen sulfide but low sensitivity for methyl mercaptan, which is a significant contributor to halitosis caused by periodontal disease. The BreathAlert T™ breath tester unit was sensitive to sulfide concentration, but gave different numbers depending on the position of the meter from the mouth and how the user breathed or blew into the unit's intake area. There are also other devices which use oral bacteria measurements to indicate bad breath (for example, a device available from Soft Lines International), but these are very expensive and take time to provide an indication of bad breath, and are therefore not particularly useful to a user who wants to conduct a “spot check” on their breath. It would be very useful if users were able to check their breath before meetings or dates, while at the office or after a meal. There is therefore a clear need for an affordable, portable and rapid indicator for testing for bad breath. As used herein the terms “odorous compound” and “odor” refer to any molecule or compound detectable to the olfactory system. The term “bad breath” refers to unpleasant odors which are present in a person's breath in levels which are detectable by another person. The term “visual indicating agent” refers to a substance, a composition or a material that gives a visual indication when a bad breath odor is present in a person's breath in a sufficient concentration. Visual indicating agents that are sensitive to very low levels (>10 parts per billion (ppb)) of sulfur and/or amine containing odors were identified. On exposure to low levels of these odors the color indicating agents change color, thereby indicating the presence of bad breath to the user. Michler's hydrol was identified and demonstrated to be sensitive to very low levels (˜20 ppb) of sulfur and/or amine volatile compounds, the major odorous components of bad breath. 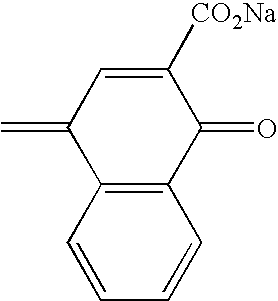 This dye was tested for its sensitivity to the various odors in bad breath (sulfurs and amines in particular, including bad breath caused by fish, garlic, onions and the like), and was determined to be a good visual indicating agent for bad breath detection. Simple breath testing devices which contain at least one of the indicating agents were also developed, wherein the indicating agent changes color when a user has bad breath. The visual indicating agent is color sensitive to at least one odor present in bad breath. The device includes a simple carrier portion defining a passage, such as a substantially transparent tube or straw, containing the visual indicating agent and which is open on at least one end. While the invention will be described hereinafter with particular reference to straws and tubes, it will be understood that the invention is useful with various other shapes as well. For example, the shape of the passageway may be cylindrical, triangular, square, almond-shaped and so forth. The visual indicating agent may be in the form of a powder, in solution, or may be coated onto a substrate, such as cellulose tissue or paper, a non-woven polypropylene/polyethylene substrate, a woven substrate, glass fibre, cotton, silk, rayon and so forth. The straw may be substantially flattened to allow for easier storage, while still permitting a patient to blow through the passage in the tube. The device may include a zone with at least one reference color to allow the user to compare the color of the indicating agent after exposure to his or her breath with the reference color, and so easily determine if there has been a color change. In one embodiment, the device includes a conveniently sized and discreet plastic tube, such as a clear drinking straw containing the color indicating agent. The color indicating agent can be applied to a strip which is inserted into the straw or over an end of the straw, can be used in powder form or can be incorporated into a solution inside the straw. In order to test his or her breath, the user breathes or blows into or onto the device, and a change in color of the indicating agent (which may be the fading of color, the development of color or a change from one color to another) indicates that the user has bad breath. This breath testing device therefore alerts the user of his or her bad breath and allows them to take appropriate action, such as to brush his or her teeth, use mouthwash or eat a breathmint. A dispenser for containing and dispensing the breath testing devices was also developed, and in one embodiment, the dispenser with the breath testing devices is designed so that it can be sold together with, or later attached to a dispenser for at least one breath freshening agent, such as toothpaste, breath mints or the like. FIG. 9 shows the dispensers of FIG. 8 when attached to each other. The invention provides simple visual breath testing devices which are able to detect levels of sulfur and/or ammonia compounds in a user's breath which are indicative of bad breath. Thus, the breath testing devices include a visual indicating agent that changes color in the presence of bad breath. The breath testing device is portable, discreet, disposable and relatively inexpensive to produce. The dye may change color by fading to a lighter color, by deepening in color or by actually changing from one color to another. The degree of the color change will depend on the concentration of the indicating agent or the concentration of sulfur or ammonia compounds in the patient's breath. Therefore, in order to observe a color change in response to sulfur and/or ammonia levels >10 parts per billion (ppb), more preferably >20 ppb, and most preferably >25 ppb, the concentration of indicating agent which is used is preferably in the range of from 0.001 to 15% wt/wt, more preferably from 0.005 to 2% wt/wt, and most preferably from 0.1 to 0.5% wt/wt. The substrate, typically a cellulose tissue, may be coated with nanoparticles to provide a high surface area coating on the substrate, i.e., higher than the cellulose fiber by itself. Thus, the cellulose tissue may be given a boost in surface area by coating it with the nanoparticles. The treated substrate may be then coated with the visual indicating dye. It's believed that this high surface area coating spreads the dye over the silica surface to provide a thinner coating and thus improving the sensitivity of the device. In addition, the nanoparticles may also be relatively nonporous or solid. That is, the nanoparticles may have a pore volume that is less than about 0.5 milliliters per gram (ml/g), less than about 0.4 milliliters per gram, less than about 0.3 ml/g, and even from about 0.2 ml/g to about 0.3 ml/g. It is believed that the solid nature, i.e., low pore volume, of the nanoparticles may enhance the uniformity and stability of the nanoparticles. Examples of commercially available alumina nanoparticles include, for instance, Aluminasol® 100, Aluminasol® 200 and Aluminasol® 520, which are available from Nissan Chemical America Corporation, Houston, Tex., USA. Alternatively, silica nanoparticles may be utilized, such as Snowtex-C®, Snowtex-O®, Snowtex-PS® and Snowtex-OXS® nanoparticles, which are also available from Nissan Chemical. The breath testing device includes a simple supporting member, such as a substantially transparent tube or straw containing the visual indicating agent. The straw or tube may be substantially flattened to allow for easier storage, while still permitting a patient to blow through the passage in the tube. The visual indicating agent may be in the form of a powder, in solution, or may be applied in solution onto a substrate, such as cellulose tissue or paper, cotton, a non-woven polypropylene/polyethylene substrate, a woven substrate, glass fiber, silk, rayon, fabric, fiber, spunbond, synthetic polymer and so forth, and dried, leaving a dried residue. The indicating agent may also be printed in solution onto the substrate, for example by using an inkjet printer. The term “in solution” as used herein refers to a liquid solution of the indication agent in water, an aqueous solution or solvent such as alcohol or toluene. The breath testing device may include a zone with at least one reference color or shade of color to allow the user to compare the color of the indicating agent after exposure to his or her breath with the reference color, and so easily determine if there has been a color change. In one embodiment, the visual indicating agent is coated onto a cellulose substrate which is then inserted into a straw. In another embodiment, the visual indicating agent is again coated onto a cellulose substrate, but is placed over one end of a straw. In both embodiments, when a user blows into the tube, their breath will pass through the tube and over or through the substrate, thus causing the indicating agent to change color if levels of sulfur and/or ammonia compounds which are indicative of bad breath (generally >=25 ppb) are present in the user's breath. According to another embodiment, the breath testing devices described above were made smaller in size so that several of the breath testing devices could be easily packaged together in a pocket-sized container. A straw was cut to about 4 cm in length, and a dye-treated substrate was either inserted into the straw or was placed over one end of the straw. The straw was then substantially flattened by laminating it in a standard business card heated laminator so that air was still able to pass through the tube of the straw. A dispenser for containing and dispensing the breath testing devices was also developed, and in one embodiment, a pocket-sized dispenser for containing and dispensing several breath testing devices was designed so that it can be sold together with, or later attached to, a dispenser for a breath freshening agent, such as toothpaste, breath mints or the like. Unless otherwise specified, chemicals and biochemicals were obtained from Sigma-Aldrich of Milwaukee, Wis. Absorbance readings were measured using a microplate reader from Dynex Technologies of Chantilly, Va. (Model # MRX). Paper towels or KIMWIPES® tissues from Kimberly-Clark Corporation of Dallas, Tex., USA were coated with Snowtex-O® nanoparticles (pH 4.1), available from Nissan Chemical, and were used in the examples described herein with Michler's hydrol dye (MH or BDMB) where dye was added without acetate buffer, unless otherwise indicated. 1 ml of a reaction mixture was placed into each of 6 vials containing 10 μl of furfuryl mercaptan (0, 0.228, 0.456, 0.912, 1.824 and 3.648 ppm, respectively), 980 μl of buffer containing 40 mM sodium acetate and 4 M guanidine chloride, pH 5.1 and 10 μl of 0.65 mg/ml MH dye (BDMB). After incubation of all the vials at room temperature for less than 5 minutes, a 200 μl portion from each vial was transferred to a microtiter plate well, and the absorbances at 590 nm were measured using a microtiter plate reader. The absorbances can also be measured in the range of 580-615 nm. As shown in FIG. 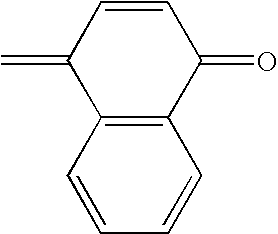 1, a standard curve was derived using furfuryl mercaptan as a model thiol odorous compound detectable by MH dye. In FIG. 1 the x-axis is the concentration of furfuryl mercaptan in ppm from 0 to 4 and the y-axis is the inverse of the absorbance at 590 nm. The sensitivity of thiol detection was found to be very high in this method. As garlic is a common cause of bad breath, Michler's Hydrol (MH) was tested to see if it is a sensitive indicating agent for garlic odors. Garlic vapor has a sulfur compound (diallyl thiosulfinate (allicin)) as its major odorous component. Fresh-cut garlic was placed in a jar with a MH-dyed Scott® paper towel, and the jar was sealed. The paper towel in the garlic containing jar was observed to change color (from blue to colorless) within 3-5 minutes, whereas no color change was observed in a control jar. The experiment was repeated, but instead of using MH dye only, the MH dye was mixed with dyes which are not color sensitive to the odors present in bad breath, such as food dyes, in order to create alternative indicating colors. Exposure of the mixed dye to bad breath odors caused the MH-dye to become colorless, thus resulting in the area coated with the mixed dye to change from the mixed color to the food dye color (Table 1). As an alternative to coating a solution of the indicating agent onto a cellulose substrate as described in examples 1 to 3 above, a solution of the indicating agent was formulated into an inkjet printable ink. Inkjet printing deposits a thin coating of dye on top of the substrate, potentially allowing a more sensitive color coating on the substrate. The Michler's Hydrol dye solution was formulated with inkjet additives shown in Table 2 below. The ink solution was loaded into empty Margarita™ cartridges (part no. 0900400-300) obtained from McDermid-Colorspan of Eden Prairie, Minn. and printed using a wide format McDermid-Colorspan printer (Model XII). Good inkjet printing on Scott® paper towel substrate was demonstrated. A strip of the printed Scott® paper towel was then exposed to garlic odor and the blue color was observed to decolorize in 10 seconds (compared to 3-5 minutes taken to observe the color change of a Scott® paper towel saturated with MH according to one of the previous examples). Higher sensitivity to the odor was thus observed by inkjet printing the indicating agent onto the substrate. As shown in FIG. 2, a standard curve was derived using ammonium hydroxide solution as an ammonia odor source in order to determine whether MH is a suitable indicating agent for ammonia. Into each of 8 vials, 50 μl of a specific concentration of ammonia solution (0, 0.01, 0.02, 0.04, 0.08, 0.16, 0.32, and 0.64%, respectively) was mixed with 150 μl of MH solution (20 μl of 10.0 mg/ml MH in CH3CN with 5.0 ml of 40 mM sodium acetate and 4 M guanidine HCl, pH 5.1) and the vials were sealed and incubated for less than 4 min. The solutions were then transferred to microtiter plate wells and the absorbances were measured at 590 nm. The absorbance readings were plotted against the concentrations of ammonia solutions, with the concentrations being represented as parts per billion (ppb). In FIG. 2, the x-axis is the concentration of ammonia in parts per billion (ppb) from 0 to 400 and the y-axis is the absorbance at 590 nm from 1 to 0.7. The sensitivity of MH to ammonia was very high, and it was shown that the sensitivity could be altered by varying the MH-dye concentration. As shown in FIG. 3, breath testing devices 10 were made using a simple drinking straw into which a rolled dye-coated paper towel was inserted. The dye content on the paper towel varied depending on the sensitivity required for bad breath testing. Accordingly, 1 mg/ml stock solution of MH-dye 16 was applied on a Snowtex™-O nanoparticle-coated Scott® paper towel and allowed to air dry. The dye-coated paper towel was then cut into 2 cm×4 cm strips 12 which were rolled up and each strip 12 was inserted into a clear plastic drinking straw 14 from Glad Products Company of Oakland, Calif. The breath testing devices 10 were tested by injecting known concentrations of ethyl mercaptan into the straws 14 to determine their sensitivity to sulphur odors. A color change 18 was noticed and was clearly visible in the presence of sulphur odors. Several volunteers were also given a number of these straws and were asked to blow into them with one lung-full of breath. The tubes demonstrated bad breath sensitivity, typically with morning breath or after a spicy meal. Color change of the indicator articles was easily observable with an unaided eye, and the color intensities (La*b*) were measured using a handheld Minolta spectrophotometer from Minolta Co. Ltd, Osaka, Japan, Model # CM-2600d. An example of the data obtained from one sample is shown in Table 3 below. The simple breath testing devices were tested in a laboratory by having volunteers test their breath using the breath testing devices described in Example 6, a clinical Halimeter™ breath tester and a BreathAlert™ breath tester. Each volunteer first blew into the Halimeter™ and BreathAlert™ breath testers, and then blew through the visual breath indicating devices twice, each time with a full lung-full of breath. The visual indicator devices containing the Michler's hydrol showed different degrees of decolorization of the blue dye. This could be read by the spectrophotometer and the color change measured by comparison of the before- and after-exposure samples was expressed as ΔE (the human eye can only distinguish between samples having differences in ΔE of 3 or greater). The analytical readings taken from the Halimeter™ and BreathAlert™ breath testers were then compared to the color change of the straw. The results are shown in Table 4 below. It should be noted that BreathAlert™ breath tester readings of 1 and 2 are low bad breath levels, hence the low hydrogen sulfide concentration readings from the Halimeter™ breath tester. Following on from the study of Example 7, a larger, more detailed study was conducted. As in the previous study described in Example 7, volunteers were requested to blow into a BreathAlert T™ breath tester and then into two breath testing devices 10 as described in Example 6. This study obtained higher levels of bad breath than the previous study, and the results are shown below in Table 5. The breath testing devices used in the study are shown in FIG. 4. The above color change readings, expressed as ΔE, show the sensitivity of the dye to the bad breath odor. The readings were calcualted by comparing the sample to the white standard. Thus the larger the ΔE value, the more colored the sample. As the sample decolorizes on exposure to bad breath, the blue becomes paler in color and this is reflected in the smaller ΔE value, i.e. the color is moving closer to white. The human eye can distinguish between samples having differences in ΔE of 3 or greater. Thus, the eye can easily tell the difference between samples which had bad breath levels of 2 and 3 (as measured using the BreathAlert™ device), as well as the difference between the control and a sample having a bad breath of level 2. As a result of this sensitivity, it is possible to produce a color scale which can inform the user of the intensity of his or her bad breath. For example, a panel on the side of a container containing the breath testing devices could include a color graduation scale, similar to the universal pH indicator. This scale would inform the user as to mild, moderate or intense bad breath readings. The color-based technology was not found to give false negatives, unlike the electronic devices. KIMWIPES® tissues were coated with a 5% Snowtex-O® nanoparticle solution from Nissan Chemical and then air-dried. 5.0 mg/ml stock solution of MH-dye in acetonitrile was applied to the Snowtex-O® nanoparticle-coated KIMWIPES® tissues and a blue color was observed to develop as the applied dye solution dried. As illustrated in FIG. 5, a drinking straw 20 from Glad Products Company of Oakland, Calif., was placed on a cardboard strip 22, and a piece of the dye-nanoparticle coated tissue 24 was placed over a first end 25 of the straw 20. Thus, when a person breathes into the second end 26 of the straw, their breath would pass through the tissue 24 at the first end of the straw. The straw was placed between two sheets of polyethylene 28 which were then heat-sealed so that only the second end 26 of the straw was exposed. A reference (or control) color strip 30 was also placed between the polyethylene sheets near, but separate from, the first end 24 of the straw and sealed when the polyethylene sheats were heat sealed. This reference strip was a piece of the dye-coated tissue and allows the user to compare the color of the strip over the first end of the straw with the reference strip to see if there has been a color change, and hence to determine whether he or she has bad breath (right). The reference strip could also include a scale of two or more shades of blue so that the user could compare the change of color of the tissue over the straw with the scale, and so determine the degree of his or her bad breath. For example, a slight change in the color could represent mild bad breath, a more pronounced fade to a lighter blue could represent medium bad breath, and a complete change from blue to colorless could represent very bad breath. A simple study was carried out with 15 volunteers to test whether the bad breath testing device was suitable for indicating whether or not they had bad breath. The test was a simple “Yes” or “No”, where a color change would indicate that the volunteer had bad breath (“Yes”) and no color change would indicate that they did not have bad breath (“No”). Each volunteer was given 3 breath testing devices and was asked to breathe two full lung volumes into the second end of the straw first thing in the morning when getting out of bed (the most common time for bad breath). The volunteers were then asked to mark on the tube whether they thought they had bad breath. Of the 45 devices which were handed out, 32 were returned and the results of this first test are shown in Table 6 below. a)True Positive = Color change occurred when the user had bad breath. b)True Negative = No color change occurred when the user did not have bad breath. c)False Assumption = False assumption of the user. d)False Positive = User did not believe they had bad breath when in fact they did. e)False Negative = No color change occurred when user believed they had bad breath. These results indicate that the bad breath visual indicator devices are very sensitive and accurately inform the user of the presence of bad breath. Of the 32 devices tested, 22 showed a clear visual color change when the user thought they had bad breath. Interestingly, 7 color changes were recorded when the user did not think they had bad breath, but in fact they had bad breath. This finding matches the literature percentage of people who cannot detect their own bad breath: 22% of people in this study were unaware that they had bad breath, and the literature reports 25%. Only one breath testing device did not show a change in color when the user believed that they had bad breath. While the breath testing devices described in the previous examples were shown to be suitable for indicating the existence of bad breath, they were still believed to be slightly too large in size to be easily portable and to be able to be carried around discreetly. Further modifications to the breath testing devices were therefore made to miniaturize them further, in particular so that they were small enough so that several could fit into thin breath strip containers which could be carried in a pocket or handbag. a) The first breath testing device (FIG. 7) was prepared by taking the article of example 8 (i.e. a drinking straw 40 into which a dye-treated tissue 42 had been inserted) and making the tube of the drinking straw shorter, for example, 4 cm long. The straw was then placed into a standard business card heated laminator (from Kinko's of Dallas, Tex.) so that the tube was flattened but air was still able to pass through the tube. b) The second breath testing device (FIG. 6) was prepared by taking the article of example 9 (i.e. a drinking straw 44 having a dye-treated tissue strip 46 covering one end), and again cutting it to a length of approximately 4 cm. The straw was laminated as above. A dye-coated paper towel was attached to a 25 mm×50 mm strip of an adhesive-coated card material. The dye content on the paper towel varied depending on the sensitivity required for bad breath testing. Accordingly, 1 mg/ml stock solution of MH-dye was applied on a Snowtex®-O nanoparticle-coated Scott® paper towel and allowed to air dry, before being attached to the strip. A small straw was also placed onto the card and the device was packaged in a polyethylene film cover and the edges were heat sealed. A removable, peal-back polyethylene tab was then used to cover and temporarily seal the dye-coated paper towel. When the tab was pealed back and a user with bad breath exhaled onto the paper towel, the MH-dye turned colorless. Suitable dispensers for the breath testing devices were designed. These dispensers were relatively small, so that they could discreetly fit into a pocket, purse or handbag. Dispensers should also be inexpensive as the breath testing devices are intended to be disposable. A small plastic rectangular dispenser (approximately 35 mm×60 mm×15 mm) which can hold about six breath testing devices of the type described in Example 10 was designed (FIG. 8), and a slightly larger dispenser for holding 12 breath testing articles is also envisaged. However, it should be clear that a dispenser could be sized to store any number of breath testing articles. The dispenser 50 of this example was designed to be attachable to another dispenser 52 for breath mints, chewing gum, cigarettes or the like (FIG. 9). The dispensers are permanently attached to each other by means of a glue or double-sided tape in one embodiment. In an alternative embodiment, the dispenser 52 for the breath testing articles may have temporary attachment means, such as a magnet 54, or hook and loop fasteners (not shown) and can be attached to the second dispenser 52 as shown in FIG. 9, by means of an oppositely polarized magnet 56 attached to the other dispenser 52. Thus, the dispensers can be sold individually so that only one may be replaced at a time. 23. A breath testing device comprising nanoparticles and a visual indicating agent that is color sensitive to at least one odorous compound present in the breath of a user. 24. The breath testing device of claim 23, wherein the odorous compound contains sulfur. 25. The breath testing device of claim 23, wherein the odorous compound contains an amine. 27. The breath testing device of claim 23, wherein the visual indicating agent contains pararosaniline base, alpha-naphtholbenzein, napthochrome green, or combinations thereof. 28. The breath testing device of claim 23, wherein the visual indicating agent contains 4,4′-bis(dimethylamino)-benzhydrol. 29. The breath testing device of claim 23, wherein the nanoparticles have an average size of less than about 100 nanometers. 30. The breath testing device of claim 23, wherein the nanoparticles have an average size of from about 1 to about 50 nanometers. 31. The breath testing device of claim 23, wherein the nanoparticles have a surface area of from about 50 to about 1000 square meters per gram. 32. The breath testing device of claim 23, wherein the nanoparticles have an average size of from about 100 to about 600 square meters per gram. 33. The breath testing device of claim 23, wherein the nanoparticles include silica, alumina, or combinations thereof. 34. The breath testing device of claim 23, wherein the visual indicating agent is contained on a substrate. 35. The breath testing device of claim 34, wherein the substrate contains a fibrous material. 36. The breath testing device of claim 35, wherein the fibrous material contains cellulosic fibers. 37. The breath testing device of claim 34, wherein the substrate is located within a passage of a carrier portion. 38. The breath testing device of claim 34, wherein the substrate covers an end of a carrier portion. 39. The breath testing device of claim 34, wherein the visual indicating agent is applied to the substrate as a solution. 40. The breath testing device of claim 39, wherein the concentration of the visual indicating agent is from about 0.001 to about 15% wt/wt. 41. The breath testing device of claim 39, wherein the concentration of the visual indicating agent is from about 0.005 to about 2% wt/wt. 42. The breath testing device of claim 23, further comprising a zone having a reference color, the reference color being the color to which the indicating agent will change upon exposure to the odorous compound. 43. A dispenser containing the breath testing device of claim 1. 44. The dispenser of claim 43, further comprising at least one breath freshener. 45. The dispenser of claim 44, wherein the breath testing device and breath freshener are contained in different compartments of the dispenser. 46. A breath testing device comprising a carrier portion defining a passage that is open at least one end, wherein the device contains nanoparticles and a visual indicating agent that is color sensitive to at least one odorous compound present in the breath of a user. 47. The breath testing device of claim 46, wherein the carrier portion is a cylindrical structure. 48. The breath testing device of claim 46, wherein the carrier portion is substantially flattened. observing whether the visual indicating agent changes color. MXPA06003732A MXPA06003732A (en) 2003-10-16 2004-08-23 Visual indicating device for bad breath. ES2120903B1 (en) 1996-11-12 1999-05-16 Isomed S L Method and kit for detection of Helicobacter pylori. ES2167201B1 (en) * 2000-01-18 2003-10-01 Univ Oviedo optical visual device control halitosis.